The 2019 Festival of Architecture will be a not-to-be-missed five-day conference from October 26 to 30 in Toronto. This year for the first time, all sessions, plenaries, and tours are eligible for RAIC continuing education certificates. Full details will be available soon. RAIC Conferences are tailored for work and educational success and feature high-quality learning sessions, including continuing education, tours, networking, and more. Participants at all career stages will take away insight, inspiration, and ideas for practical application. 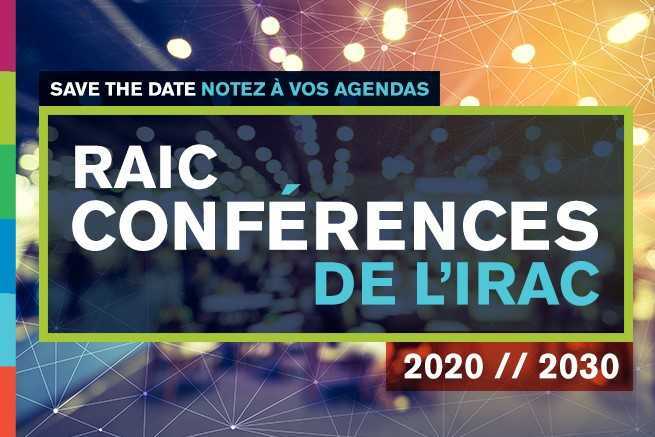 The RAIC has been hard at work confirming dates and venues for its future conferences. Securing these dates in advance will allow members to plan ahead and book travel early, and it also means we can get you the best deals on facilities, tours, and accommodations.